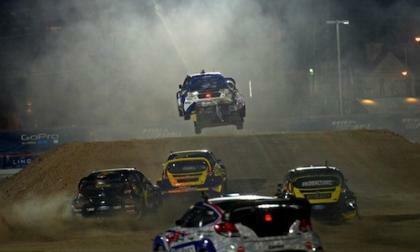 Watch Bucky Lasek in the Subaru WRX STI Global Rallycross car in the final at Las Vegas. Check out this interactive 360º video. The 2015 Subaru Outback has been awarded the “2015 Best Wagon for the Money” by US News and World Report. They tout 5 things that set it apart. The rumors that Apple may be building an electric car have become persistent enough that even CEO's of major automakers are being asked about it. 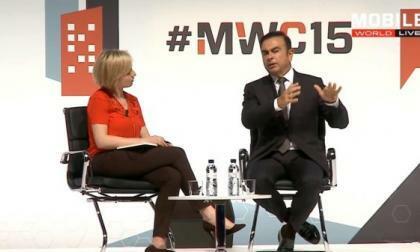 Nissan CEO Carlos Ghosn says they aren't worried about it. 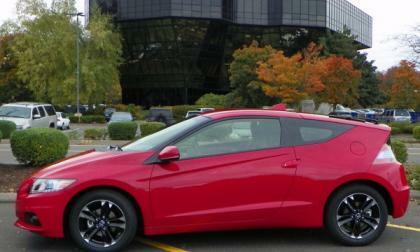 Torque news found Honda’s only 2 seat hybrid surprisingly fun to drive and economical to operate. Unfortunately, with combined U.S. February sales falling below 300 units, the buying public hasn't bit the hook when it comes to CR-Z. Is Honda’s only remaining 2 place sport-hatch headed for history? We have seen more than a few videos showing the 2015 Dodge Challenger SRT Hellcat racing against a variety of high performance vehicles and today, we watch as a lightly built Cadillac CTS-V Wagon with 600 rear wheel horsepower gives a stock Hellcat Challenger a very good run – but it eventually comes up short. Although the Ford Mustang has beaten the Chevrolet Camaro in the first few months of 2015, General Motors expects to reach the 500,000 units sold plateau with the 5th gen Camaro this month and they are celebrating by showing off the 2016 Camaro in action on the track. 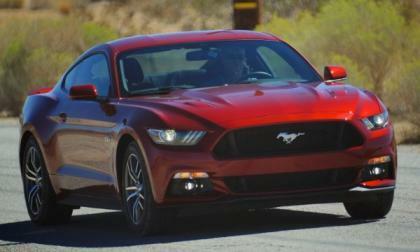 Ford Motor Company has run the numbers for the 2015 Ford Mustang sales and inquiries for the US, Europe and China, with red being the most popular overall around the world followed by black – with each region also having a uniquely popular hue. 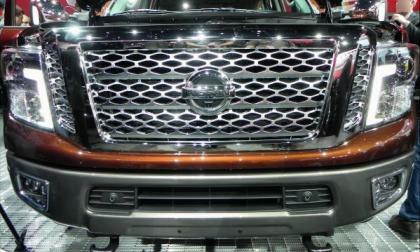 Nissan Titan Truckumentary #4 Released, "Titan Tough"
Nissan has released the fourth installment in its short video series on the Titan pickup truck, the "Truckumentary" series. Read more about Nissan Titan Truckumentary #4 Released, "Titan Tough"
The 2015 Subaru XV Crosstrek was the Grand Prize of the Cosmopolitan contest in Russia. 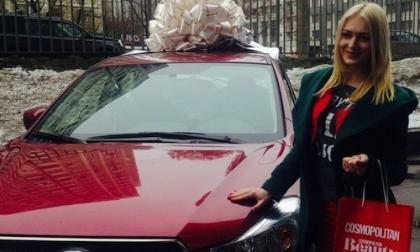 Why do Russian women seem to love the XV? 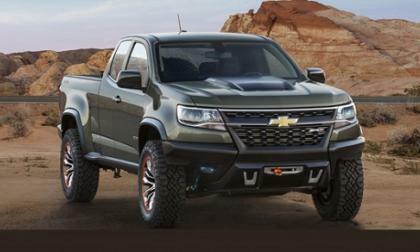 We all knew the Colorado would eventually take on the Tacoma TRD Pro. Here’s what GM’s Global Product VP says about it. The Highlander can’t seem to lose a contest lately. Here’s why this win is important for Toyota and Lexus. 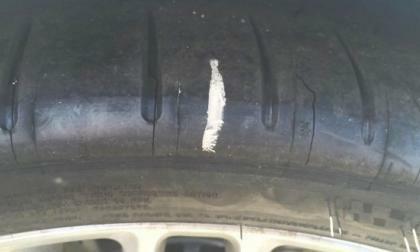 Car dealerships have taken the on-line customer service review about as far as any industry can. 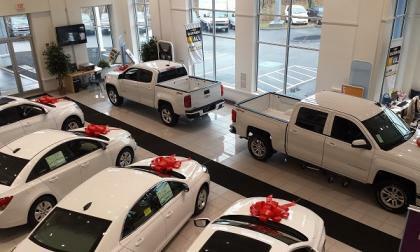 That customer feedback helps us know more about dealers, but it also reveals a lot about us as well. 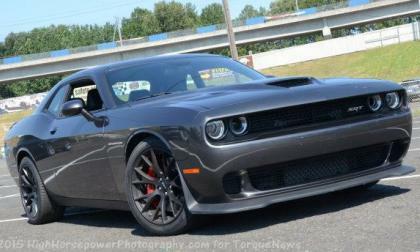 The 2015 Dodge Challenger SRT Hellcat and 2015 Dodge Charger SRT Hellcat are among the most powerful production cars sold in America and with a price starting under $65k, they have proven to be far more popular than initially expected with over 9,000 people placing orders thus far – leading to lengthy delays in delivery that are likely to stretch well into the summer and maybe even into next year. 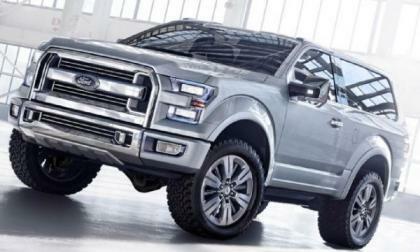 Over the past week or so, there has been a great many people writing in to ask if the 2016 Ford Bronco shown above is actually coming to market and while this F150-based SUV looks awesome, I’m unfortunately writing this piece to point out that the Bronco shown here is nothing but an April Fool’s Day joke that has been continuously drudged up by disreputable automotive sites. 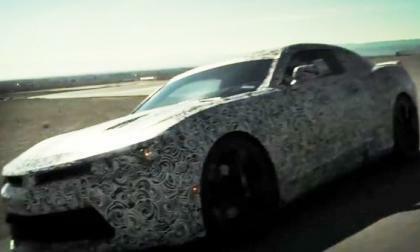 A new rumor has hit the internet, suggesting that the 2016 Chevrolet Camaro could make its grand global introduction when it paces the field of the 2015 Indianapolis 500 race, following in the footsteps of so many Camaro models in the past – but would GM really debut the 6th gen Camaro on the track? What would it take to turn your 2015 STI into a rally car? 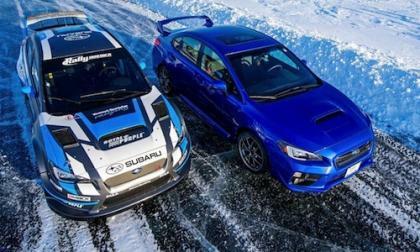 The new 2015 Subaru WRX STI gets a photo shoot with the 2015 Subaru STI rally car. What would it take to turn your 2015 STI into a rally car? Read more about What would it take to turn your 2015 STI into a rally car? 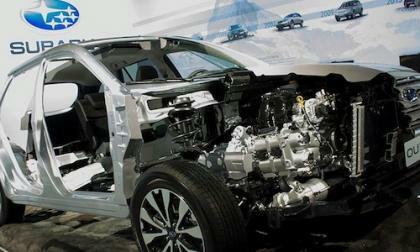 A cutaway model of the new 2015 Subaru Outback is on display at the Geneva MS. What gets exposed? O.K., we get it! 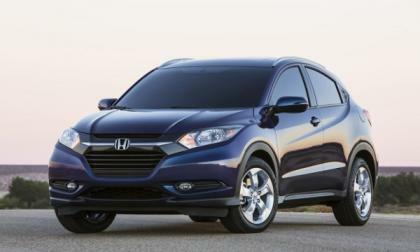 2015 Honda CR-V will follow in the tire tracks of the most awarded compact SUV in Honda History. 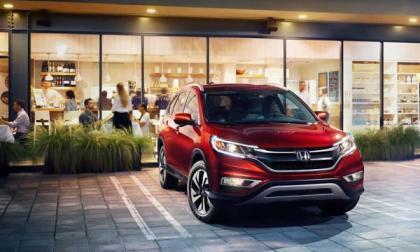 Torque News-Honda takes a closer look at why U.S. News and World Report just named 2015 CR-V # 1 “ 2015 Best Cars For Families” in the compact SUV category. 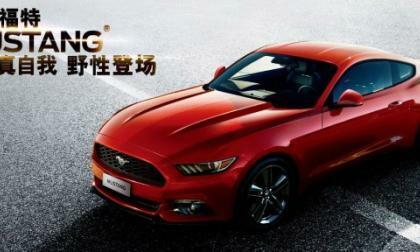 The slow introduction to the global public continues today, as the 2015 Ford Mustang GT goes on display at the Publika mall in Kuala Lumpur, Malaysia, marking the first time that folks in that country can check out the first Mustang built with right hand drive – although the car won’t go on sale until late this year or early in 2016. 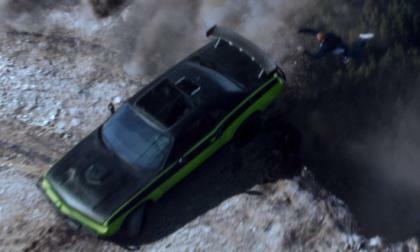 Fast and Furious will see its 7th and final chapter on April 3rd when Furious 7 hits theaters around the US, with the 2015 Dodge Charger and Challenger joining the 2015 Jeep Wrangler and a classic Dodge Charger to represent the Chrysler Group very well in the action packed go-fast flick. When will the 2016 Mazda MX-5 Miata arrive in the US? 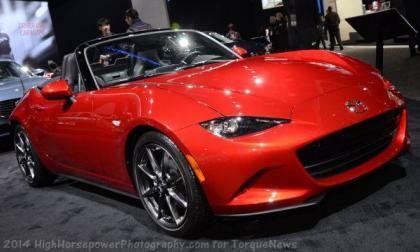 It’s all well and good that Mazda has started making the new Miata, but those are for Japan. When do we get the 2016 MX-5 here in the US? 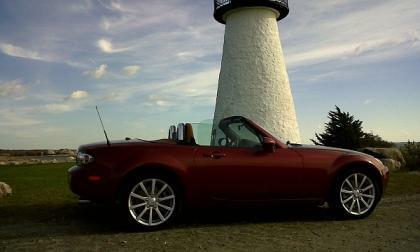 Read more about When will the 2016 Mazda MX-5 Miata arrive in the US? 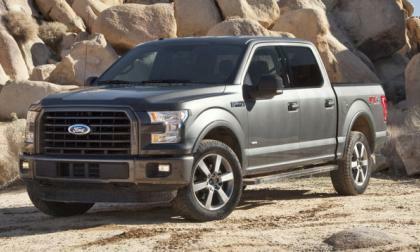 The 2015 Ford F150 is selling so well that the Motor Company isn’t able to adequately meet the demand right now, which is having a negative impact on truck sales as prospective buyers wait for their ideal trucks to arrive – but more 2015 F150s are on the way. The 2015 Chevrolet Corvette Z06 comes in certain forms comes with high performance Michelin Pilot Super Sport Cup 2 tires that are intended strictly for summer use, but those owners who are receiving their super-Vettes during the cold months are finding that the tires are cracking very badly – and Michelin’s only advice is to not move the car in temperatures under 20 degrees. 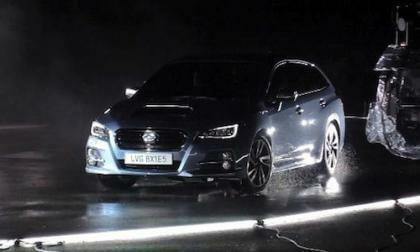 The new 2015 Subaru Levorg makes its European debut at the Geneva International Motor Show. Is Levorg the new technologies symbol for the brand? 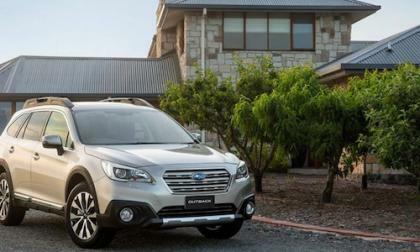 Buyers can't get a new 2015 Subaru Outback because of high demand. 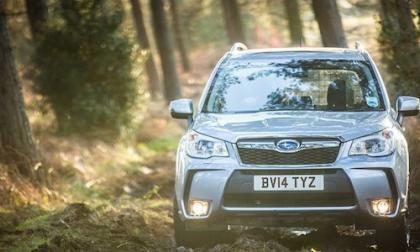 Could they be switching to the 2015 Forester? IndyCar is a unique animal in the world of auto racing. The playing field remains exceptionally level and winning a race is dependent on the reliability of the engine, fuel conservation and ultimately, driving skill. 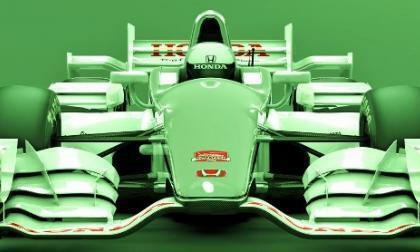 In walks Honda Power Development with the latest innovation in downforce and drag reduction technology. 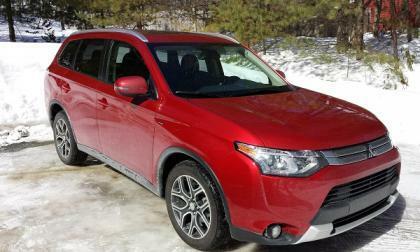 2015 Mitsubishi Outlander GT vs. Toyota Highlander XLE: which to buy? In this segment of our continuing series, we compare two winners in the mid-size crossover segment and reveal their personalities. Which might be best for you? 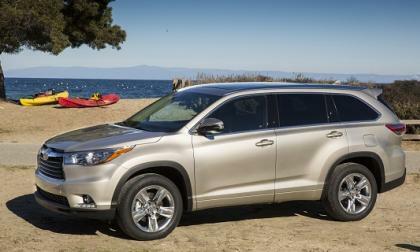 Read more about 2015 Mitsubishi Outlander GT vs. Toyota Highlander XLE: which to buy? Here's the side of the story that every single other news outlet is not reporting as Mazda begins production of the 4rth-genration Miata. 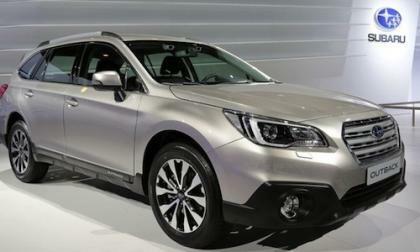 The all-new European spec 2015 Subaru Outback is at the Geneva International Motor Show. With supply so limited, will Europe even get the popular wagon? It’s one of those rare cars, fun looking, a bit quirky. The minute one catches a glimpse of this future-forward-looking hatchback, endless possibilities of affordable fun and understated automotive fashion sense dance across the personal hard drive. Pretty cool stuff!